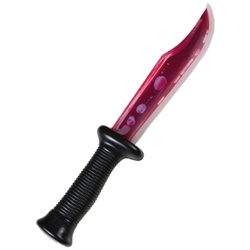 Bloody Blade/Knife. Made of rubber and plastic. Unique design allows "blood" to flow from handle to blade and back again. Length: 13" long.